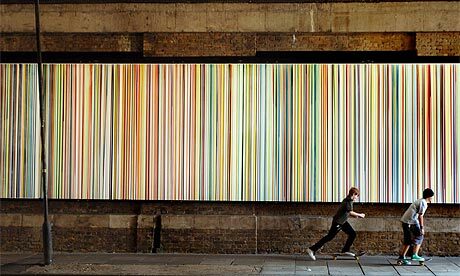 art: Ian Davenport brightens up our walk home. We can often be found taking a casual stroll away from the offices at AP. 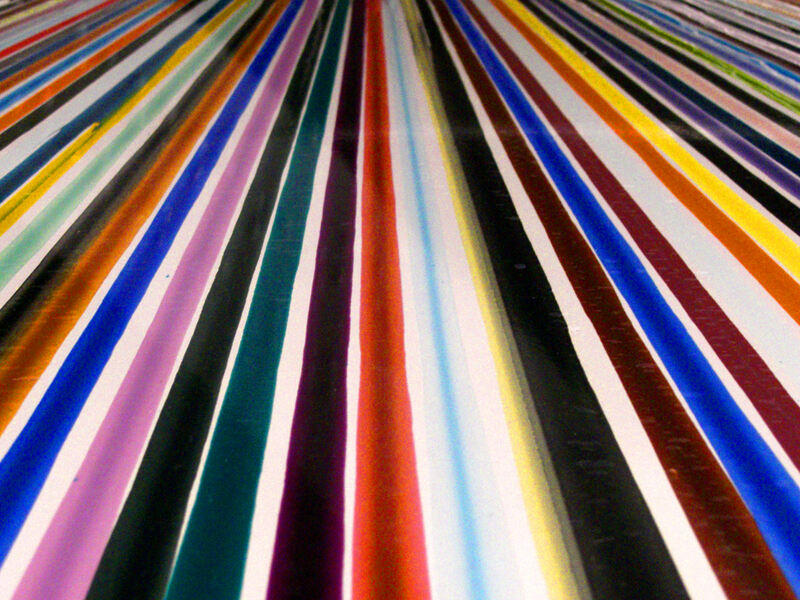 and dow to Tate Modern on London’s South Bank and one of the highlights on the way is the spectacular work by Ian Davenport in an otherwise grimey and unloved underpass – which got us thinking, just where else might we find his work. Well look no further because the great striped one (yup, that’s our little nickname for him!) 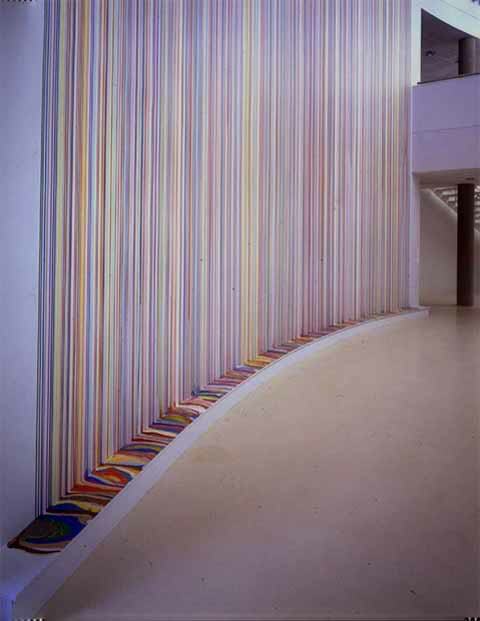 is quite prolific when it comes to painting the world in perfectly uniform bands of vertical colour. 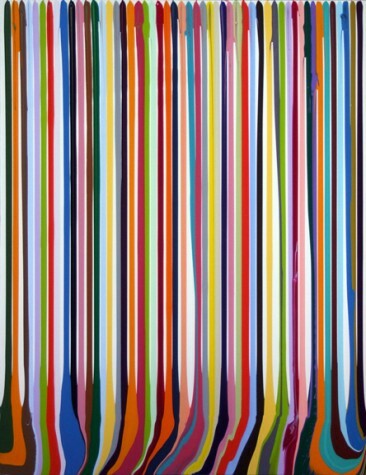 Though what we missed out on from our London experience was the way on much of these works he leaves the stripes to puddle and muddle together at the bottom – now thats special! Enjoy. architecture: the financial crisis of 2008 keeps NYC skyscraper on the block. Shown here is the marketing video for 56 Leonard Street. Devised by NYC based TronicStudio it sets a new bar for marketing property. The financial crisis of 2008 has set back many major building projects across the globe. One of the major losses though has been proposed New York skyscraper, 56 Leonard Street, the 796ft (243m) residential tower designed by (archistars behind the iconic birds nest stadium in Beijing, and Tate modern in London) the Swiss firm Herzog & de Meuron. The tower is planned for Leonard Street (Manhattan) in Tribeca and when completed will have 58 floors. The building is described by the architects as “houses stacked in the sky.” In January 2009, skyscraperpage.com has noted that construction of the building has been suspended, due to financial problems. The tower was also due to have the first permanent sculpture by Anish Kapoor in NYC. At least we have this slick video to keep reminding us what could have been . . .